When Jordan and I were saving to buy a house, we couldn’t agree on where to keep the money we were slowly stashing away. Do we keep it in savings? Do we invest it? We couldn’t come to an agreement because though we are both equally knowledgeable, we view risk very differently. Jordan is riskier than I am, in investments and in life. 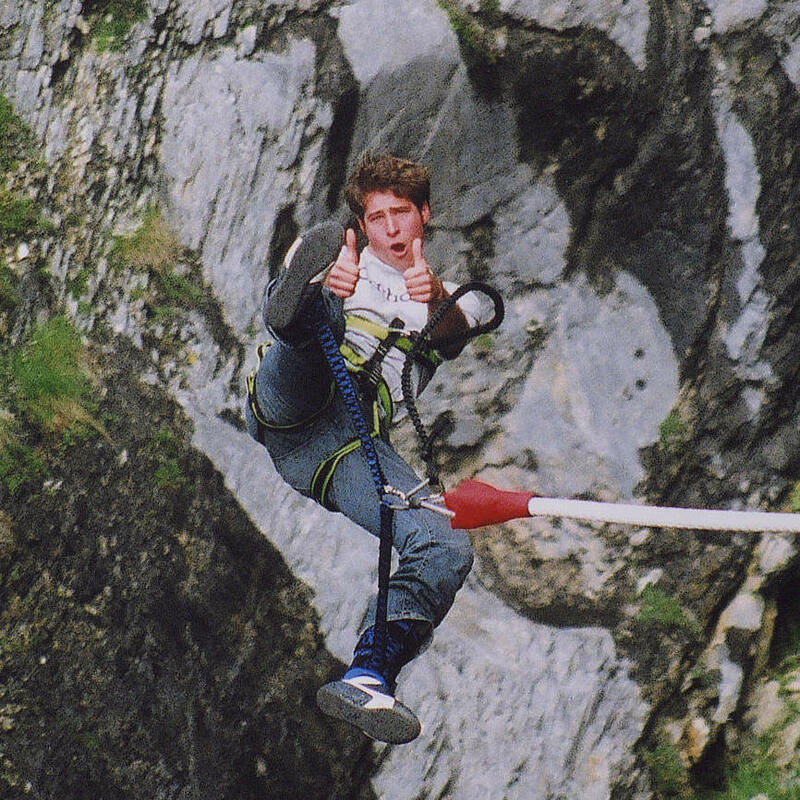 He found it fun to jump out of a plane and off a bridge, while I get queasy when I’m in too tall of a building. When he looks at investment risk he sees the upside. While he acknowledges that things could go badly – and he hates when they do – he embraces the idea that he could win big. He’s an eternal optimist. I like to pretend that I embrace riskier investing decisions, but deep down I don’t. I’m the person who loses one hand of $5 blackjack and I’m out. For life. So naturally, as we were saving up, I wanted to keep our money in savings. Jordan was excited about the returns in the market and wanted to put the cash in a low fee Index Fund. My rationale was: what if we lose it? His was: what if we lose out? We didn’t know how long saving for a home would take. We were purchasing in the San Francisco Bay Area, which is notoriously competitive. It could take years to buy (which it did). So do we lose out on the potential for great returns over a few years? Or do we risk losing some of the money we need for a down payment in pursuit of that great return? The financial rules for the extreme ends of the spectrum were pretty clear. Emergency fund goes into savings because you always want to have cash on hand. Retirement investing goes into well-diversified investments because it has a longer timeline. If the market crashes, you have more time to recover. But the middle? We couldn’t find a hard and fast rule for that. Luckily, a friend’s mom was nice enough to chat with us about our different options. She’s a wealth manager for the uber-wealthy – you know, the people who need to know whether it’s better to buy or lease their private plane. So it really was incredibly nice of her to talk through this question with us. After speaking with her we decided to leave most of our money in a high yield savings account. But better than that, we also nailed down a 2 question framework that helps us work through where money should be put in the future. Question 1: How soon do I need this? With a short timeline, investing isn’t a great option. While things can go up, they can also go down. If you need that money pretty quickly, there’s a chance you’d have to sell at a low point in the market. The longer the timeline, the more you are able to recover from ups and downs in the market. Question 2: What happens if I lose this? No one wants to lose money. But what is your tolerance for temporarily losing that money? Are you going to have to put off buying a house for a few more years? Will you have to put up with a job that you hate for a few more years? 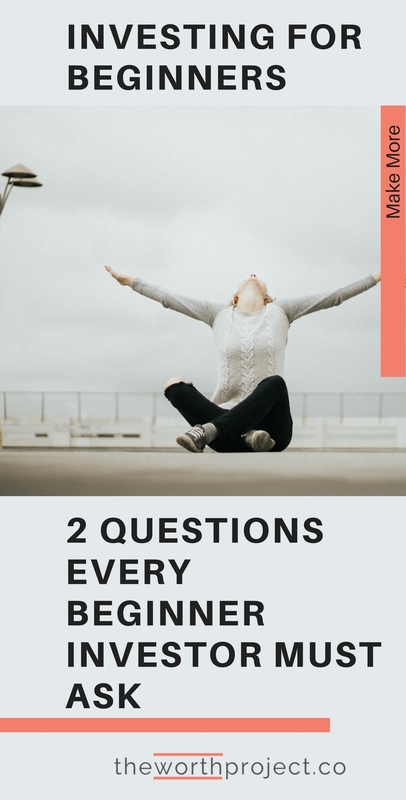 We’ve used these two questions to navigate how to think about what to do with our money. It’s helped me to step outside of my comfort zone ever so slightly and keep Jordan from gambling away the money that we need sooner, rather than later. 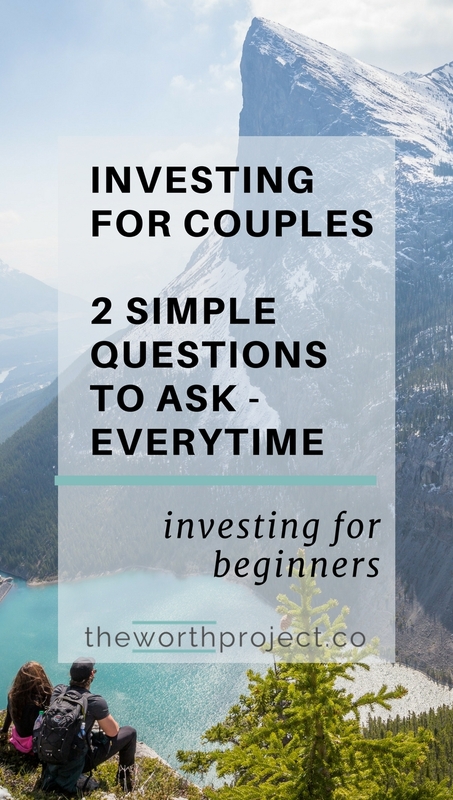 And because they’re really simple questions that aren’t full of financial jargon, it’s easy to talk through them. Which means we stay on the same page with our goals. For example, with the home that we purchased, we felt like our timeline was pretty short: we wanted to buy the house within 1-3 years, whenever the right place came on the market. Since we needed the money quickly and we wouldn’t be able to buy a home without it, we kept what we needed to for the down payment in a savings account. Now that we want to buy another house, we’re looking at the same scenario through a different lens. Yes, we’d like to buy another house in the next 2-5 years. Our timeline is still short. But since we already have purchased a home for us to live in and this second home is more of an investment, we both feel more comfortable weathering the market ups and downs. If we lose the money for a while, we don’t have to sell during a downturn. We can wait on purchasing an investment property for as long as we need to. And what about college funds for our future children? It’s invested in a 529 plan because college is a long way away (being that we don’t currently have kids). We have plenty of time to take advantage of market increases and to recover from declines. Other goals, like our emergency savings, our f-fund, and our vacation savings are sitting in separate high yield savings accounts. We may need them on short notice and we can’t afford to lose them. 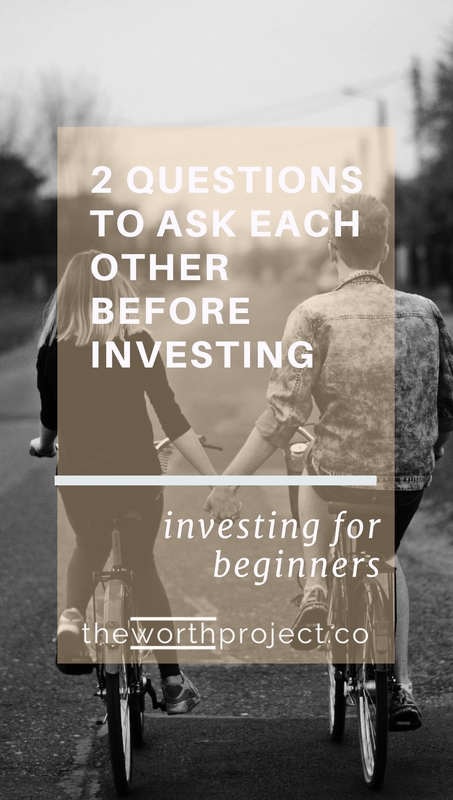 There are plenty of investment options out there other than Index Funds and 529’s, and understanding your answer to these questions can help guide where you feel most comfortable putting your money. 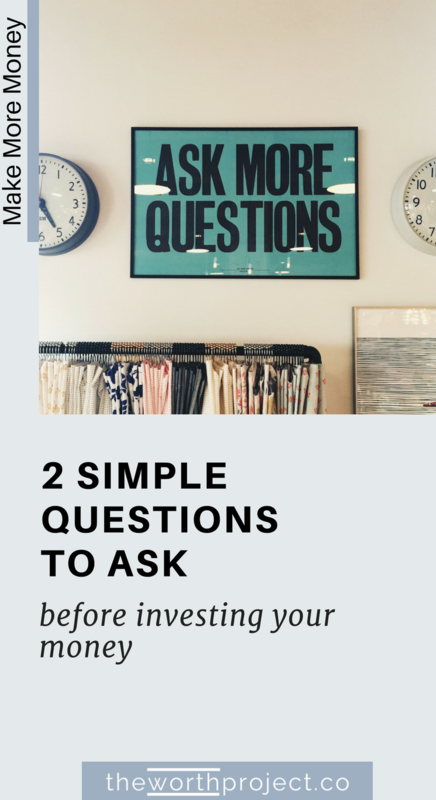 Whether you have the risk tolerance of a sky-diver or you prefer to keep both feet planted solidly on the ground, ask yourself these two questions and see if and how your answer to investing changes.